This year we have introduced the ‘3Cs’ at Middleton Hall. The idea is that everyone is responsible for the ‘3Cs’. We all have a part in Communication – not just leaders (“If you didn’t know, did you ask?”); Everyone can and should Challenge what we do (“Might there be a different way of doing that?” … Managers are not always right); and we all need to embrace Change (the only way we will keep improving is continuous change). This month, we are updating one of our care services. Lots of the ‘3Cs’ involved all the way through. In truth I have never quite understood what “residential care” really is. We aim for all our services to be distinctive as well as excellent and we felt that 2017 was the time to re-think what we offer in Middleton Gardens (historically “residential care”) to make it more distinctive. When Middleton Oaks opened this summer, it left us with eight empty rooms next to Middleton Gardens. The obvious short-term way forward would have been a quick bit of redecorating and fill the rooms as we had plenty of people on the waiting list for “residential care”. But…Challenge…was that really the best thing for the longer term? Could we make a Change and do something innovative that might enhance residents’ lives further? And then, how would we Communicate all that? 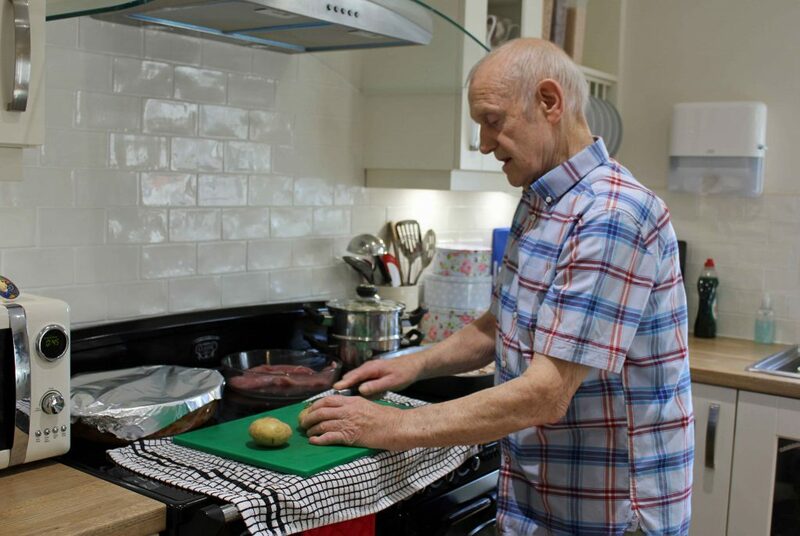 Supported Living with Care (“Designed for residents willing and able to plan their days independently”) – a more homely, informal atmosphere for just twelve residents who will be supported to undertake a more active and independent lifestyle (cooking, gardening, looking after hens and other interests). Hotel Living with Care (“Flexible hotel style care service to suit individual requirements with restaurant meals”) – a highly bespoke care service for 16 residents with generous communal facilities. A team has worked on planning the new services (our building team has virtually re-built the eight rooms so they all have patio doors and some bay windows, brand new shower rooms and a new communal space) and Supported Living with Care will open at the end of this month. A good example of our ‘3Cs’ in action. Of course, the proof of the pudding is in the eating, and certainly our new clients in our Supported Living care service will be eating well. This entry was posted in Jeremy's Blog on November 9, 2017 by Jan.